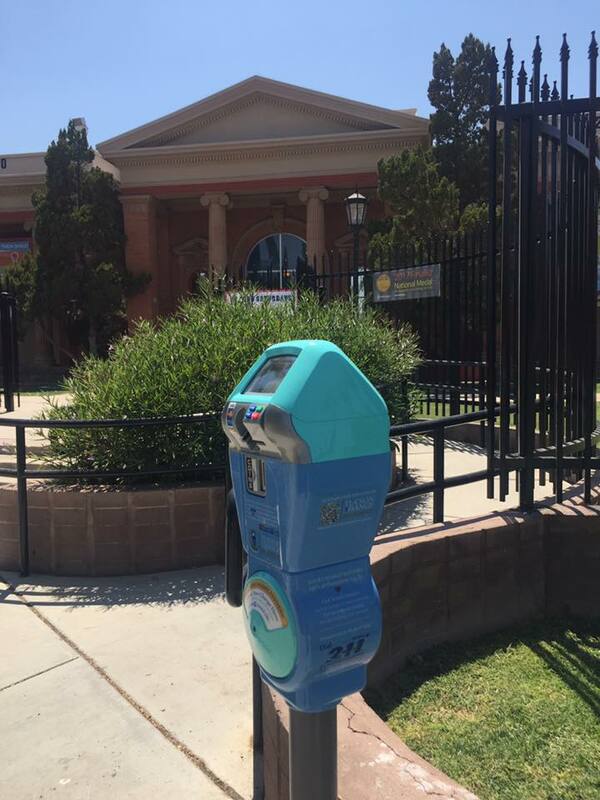 On May 15, 2017 I posted about the first parking meter installed outside the Joel D. Valdez main library in downtown Tucson, for people to donate their extra change (or donate via credit/debit card) to help aid homeless people. 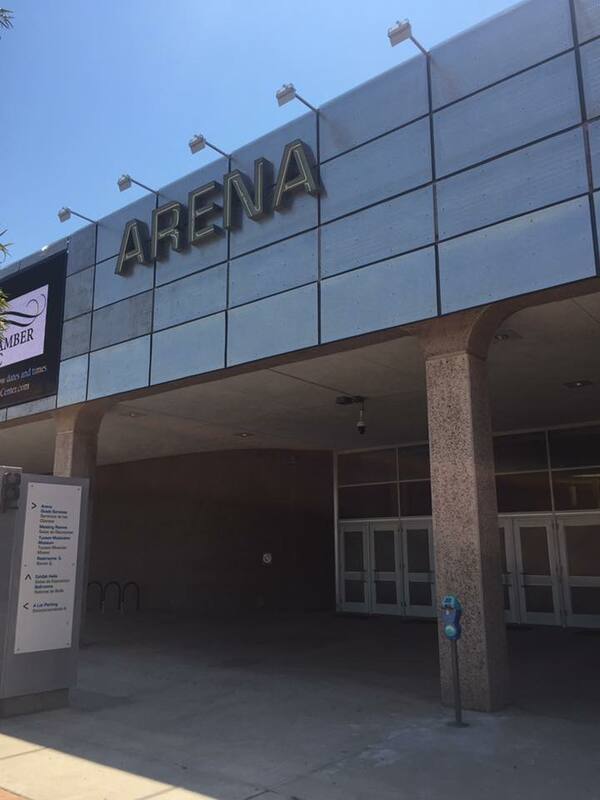 This project is sponsored by the Tucson Change Movement. More info and photos on the FB page: https://www.facebook.com/TucsonChange/. 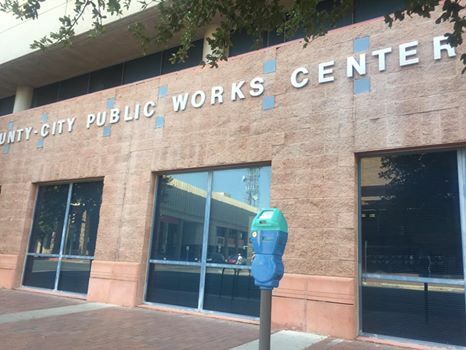 Recently four other such green/blue parking meters were installed — 1) outside Public Works Center at 201 N. Stone Avenue 2) at Mercado San Agustin at 100 S. Avenida del Convento 3) at Tucson Children’s Museum at 200 S. 6th Avenue and 4) TCC Arena, 260 S. Church Ave. Photos courtesy of Tucson Change Movement below. So, drop off your extra change whenever you’re walking by these venues in downtown, or near downtown. The homeless can certainly use the help, especially in the hot summer months. 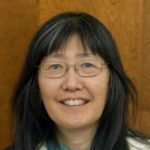 Tucson Change Movement is advocating a change in people’s attitude towards homelessness, by soliciting spare change. I don’t get downtown much, mainly the Farmer’s Market at Mercado San Augustin, but I’ll definitely drop some coin when I’m there. Thanks Carolyn! Wileybud, thanks for commenting. 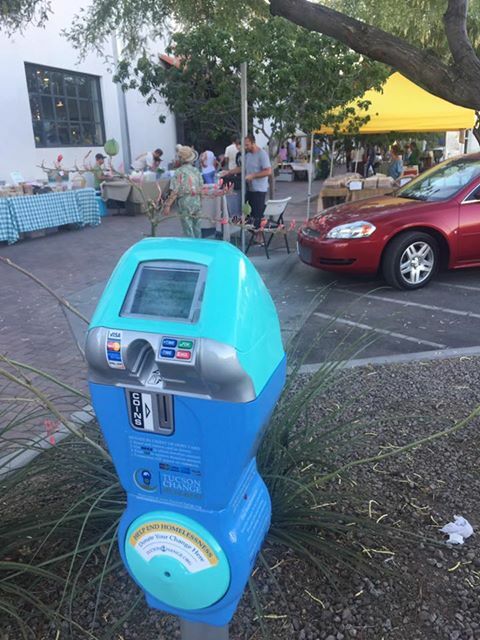 It will be actually fun to try & locate these donation meters around downtown and 4th Avenue. Donovan Durband says there are now 9 installed, so check the FB page for updates and photos. Woohoo, another meter just installed on 4th Avenue x 9th street at that park on SW corner, north of the underpass. It’s a good location for walk by traffic, heading to downtown. Spare change anyone?